This issue does not impact your collection of data or your experience with Hotjar. Wix sites that utilize the Pages feature can have multiple Tracking Codes being loaded at the same time, preventing Hotjar from verifying correct Tracking Code installation. We are currently looking into this issue with the team at Wix. Only Wix sites with connected domains can use Hotjar tracking. Log into Wix and go to the site dashboard you'd like to install Hotjar on. 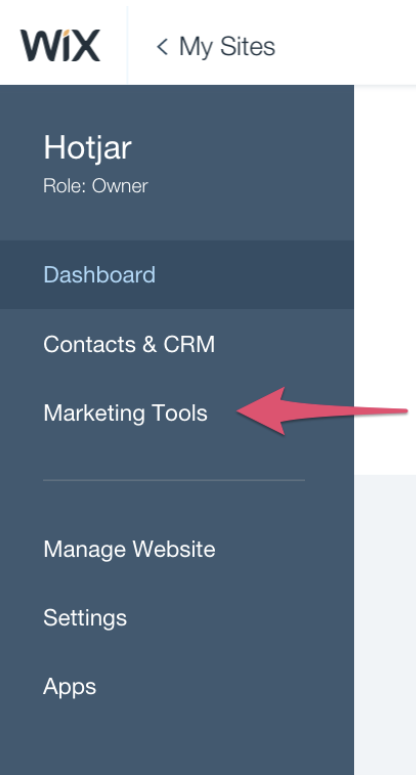 Then choose Marketing Integrations and click Go For It under the Hotjar integration. Paste your Hotjar Site ID into the field that appears. Click save and you're all set! You'll need to select the domain to track if you have multiple domains on Wix. 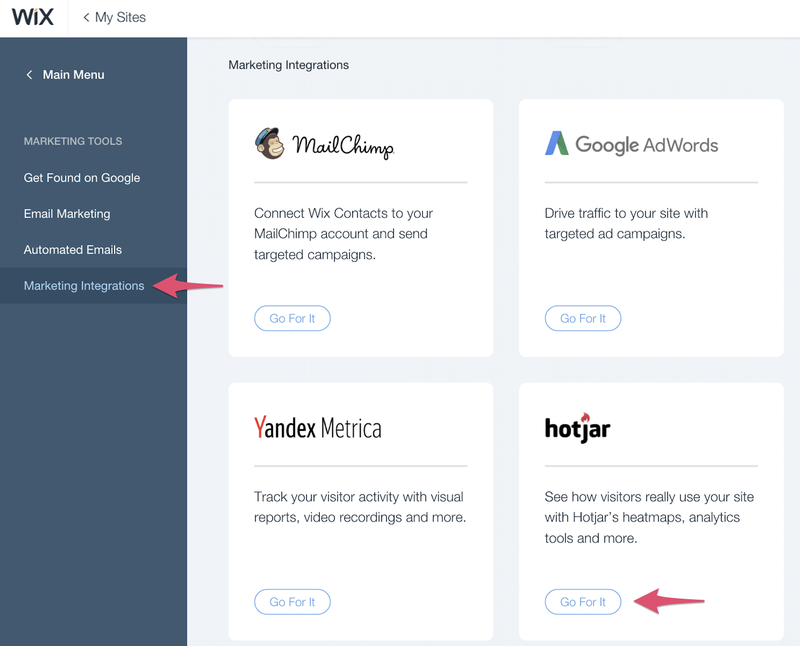 You should now see your Hotjar tool in the WiX Marketing Integrations section and your Hotjar Tracking Code is now installed.